Here are a few pictures I took a few days ago of my 2 little ones fast asleep. What’s your Wordless Wednesday? 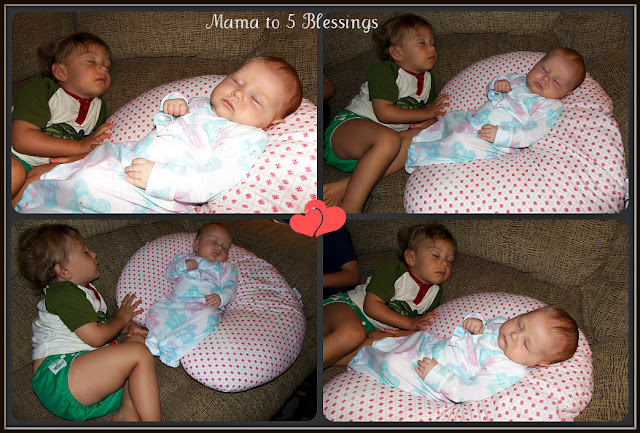 Link up right here with Mama to 5 Blessings every week and share your Wordless Wednesday! PLEASE do not link up your giveaways on this linky, they will be removed immediately. You can add them every Saturday to my Super Saturday linky. So adorable! My boyfriend once took a picture of me sleeping cuddled into him – it was the cutest. My favorite sleepy subject is definitely my doggy back home, though.